Leave the lights on for this first book in a new thriller series! The author of the #1 New York Times bestseller Pendragon invites you to enter The Library, where the stories you can’t finish just might finish you. There’s a place beyond this world where spirits tell their tales—stories that ended too soon, or don’t end at all. It’s a place for unexplainable things: mysteries without solutions. Ghosts. Boogeymen. They all have a story. Marcus and his friends have found the key to unlock the Library. And they need to use it, because, clearly, something is up. Some strange guy in a bathrobe haunts them; fires rage and flare out in an instant; a creepy old lady shows up at Marcus’s house. . . . At first Marcus thinks he’s going nuts, until the terror gets real. 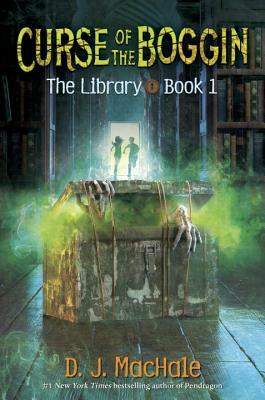 The Library may hold some answers, but if there’s an unfinished mystery, the three friends will have to complete the story . . . any way they possibly can. D. J. MacHale is the author of the bestselling series Pendragon: Journal of an Adventure Through Time and Space, the spooky Morpheus Road trilogy, and the sci-fi thriller trilogy the SYLO Chronicles. In addition to his published works, he has written, directed, and produced numerous award-winning television series and movies for young people, including Are You Afraid of the Dark?, Flight 29 Down, and Tower of Terror. D.J. lives with his family in Southern California. You can find him at djmachalebooks.com. Orlean's The Library Book is a fascinating melding of true crime, history, and theory on arson. L.A. Public Library's 1986 fire plants a seed that only Orlean could bring to flower. I cherished the bibliophile and library love in this book. So intriguing!